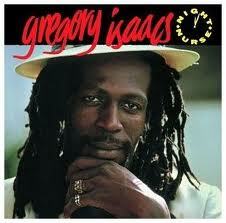 Gregory Issacs, one of reggae’s greatest and most influential singers, has passed away according to many news outlets. He died Monday morning in his home in London after his year-long battle with lung cancer. Issac’s was 59. Isaacs is most well-known for his 1982 hit “Night Nurse.” As a young girl riding around with my mother I can still remember this song playing on 106 the joint xm’s reggae station and my mom explaining to me just how influential Isaacs was to reggae music. I can also recall refusing to wear a black dress that was purchased for me because I felt it made me look like a “night nurse” (for the record I now love this dress..it is a D&G and is sitting in my closet as I type this. I was too young to appreciate it ahah) I even remember when my mother and her friend went to Mr. Issacs at a popular club in Los Angeles. Isaacs credential’s and achievements can go on and on for pages but I didn’t want to do that here. I just wanted to recall why Isaacs, an international reggae star, was special to me. I urge you go and listen to some his music if you haven’t; I’m sure you will enjoy. For although Isaacs has left this his world, his music and legacy will not soon be forgotten. May God bless his family; please keep them in your prayers.